The World Equestrian Games has become too expensive to deliver, an independent report to the FEI says. The report, prepared by The Sports Consultancy, says the format is too complex. The sheer scale of the event, the costs involved, and the required independent and public-sector investment ruled out a majority of prospective hosts, it said. The report will be discussed by FEI member-nations during the first session of the world governing body’s annual Sports Forum in Lausanne, Switzerland, late this month. The session is intended to evaluate and consider the future of the showcase event, held every four years. The report was commissioned with the hosting of the 2022 Games in mind, but the consultants acknowledged that some of the issues were more pressing, given some negative feedback over last year’s WEG in Normandy, France. Thousands of eventing fans were left disgruntled over access to the cross-country venue, with many held up in traffic for hours and missing some of the action. There was controversy, too, over the endurance course, which was belatedly waterlogged by rain. It proved difficult, resulting in a disappointingly large number of eliminations. The consultants said the high cost of WEG was driven by several factors, including the number of disciplines, the length of the event, the number of competitors, the number of venues required, and the unpredictability of athlete numbers. “In order for the overall operating budget to be lowered and for the event to continue, some or all of these factors need to change,” the company said. The consultants stressed that 83 percent of stakeholders wanted all eight disciplines to remain, which were described as WEG’s unique and defining factor. It was felt was 9-10 days would be the ideal length for the event. The consultants acknowledged that reducing competitor numbers was a sensitive issue, but suggested the FEI could use other sanctioned events to create a “road to WEG” for riders through existing regional and continental competitions. The review said the issues facing WEG resulted in part from the substantial growth of the event since the first one was held in 1990. “As competitor numbers and disciplines have grown, so too have the challenges associated with hosting the event. The consultants said the appetite for WEG continued to grow. “Athletes see it as a pinnacle of the sport, spectators enjoy a unique opportunity to see such a wide variety of high quality equestrian sport in a condensed period, broadcasters are attracted by the format, and the event attracts a number of high-quality sponsors. “However, the event has been plagued by problems in recent years. “Kentucky experienced lower than expected spectator numbers, forcing the FEI to subsidise the event. “The 2014 bidding process only had one candidate, whilst the host procurement process for the 2018 event had to be re-run in order to secure the guarantees required. Discussing the Normandy Games, the consultants cited the logistical issues that sparked negative feedback, but said “the sport shone and the numbers of athletes and spectators were at record levels”. “The outcome of this consultation is clear,” the consultants said. “Stakeholders want this event to remain – 97 percent of consultees were in agreement on this. 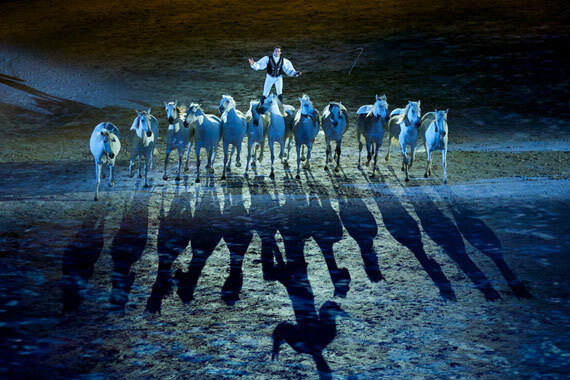 The FEI World Equestrian Games are unique and should remain the pinnacle of the equestrian calendar. The consultants sought input from a range of stakeholders – spectators, hosts, athletes, broadcasters, national federations and sponsors, among others – to understand what should be retained and protected, what caused the challenge and complexity involved, and what needed to be changed to increase the appeal. The consultants suggested that the FEI should review its financial contribution to the WEG budget. The FEI needed to decide what other contributions it was able to make through various channels. The consultants also proposed a move away from a “title” sponsor model. It urged the FEI to pursue its plan to develop a partner model that secured 5 to 7 equal sponsor partners, which would provide a broader, more globally diverse platform of sponsors for WEG. “The FEI must take increased control of their own event,” they said. It recommended the FEI set up a WEG Steering Committee that had formal jurisdiction to review, steer and, ultimately, approve event implementation. It should also implement and police the delivery of key operational policies such as sport/broadcast schedules and exert greater control over the spectator experience. The event needed to be engaging, accessible and understandable, the consultants said. The FEI needed to ensure that competition formats were as engaging as possible, through the elimination of non-essential compulsory elements and reducing session lengths. It recommended that some discipline formats be re-designed to ensure that they retained interest for spectators and television audiences. The consultants urged the FEI to look at industry-standard innovations from other sports in live sport and television presentation. The consultants felt there was untapped potential in the WEG format, with opportunities to lift the economic impact of the event. These could include coaching clinics, athlete development clinics, sports science events and best-practice development workshops. The review continued: “The event exists to promote equestrianism and to unite the sport. It unites the FEI family and creates a community among equestrian fans. Eighty-two percent of stakeholders consulted believed the venue footprint had become too big. The review said there should be no more than three or four venues, and limits imposed on transit times between venues. The focus should be on the core competition components, with pared down opening and closing ceremonies, and demonstration disciplines. Stakeholders were engaged and enthusiastic about the review process. “All are invested in the success of the event and want it to remain. Many believe that now is the time for the format to change and are excited about the opportunity.